Just like with every major industry, the use of computers to make work easy is now a common thing in the financial industry. The financial industry has seen a rise in the use of a trading robot in recent time. This increase in the use of trading robots can be credited to the need to do things faster and also to reduce the effect of human error while making some important trading decisions. These trading bots are usually programmed to follow set rules. Once the criteria required to make a trade is achieved, the trading robot executes a trade or gives an alarm, depending on how it was programmed. So whether the trader is present at the time when the trading criteria align or not, the robot will surely enter the trade with precision and accuracy. Although the crypto industry is still a relatively new one compared to others with large market capitalization and heavyweight financial institutions behind them, there has been reporting of some incredible crypto market trading bots. One of such trading is the WolfpackBOT, which is dubbed the world’s fastest and most secure trading bot. What makes the WolfpackBOT special is the fact that the bot is designed to operate on the blockchain just like any public DLT project. The bot makes use of the Proof of Work Blockchain technology. Another feature which separates the WolfpackBOT from other trading bots on the entire financial market is the fact that the platform has its own trading Software, an optional Hardware Console for its WolfpackBOT trading software and a removable Hardware Wallet, called the WolfBOX. For the convenience of its users, the trading platform also has Bitpay and Coinbase wallets integrated. The Wolfcoin is the native coin of the WolfpackBOT trading platform. The coin makes use of the Proof-of-Work (PoW) governing consensus. Since the coin is based on the blockchain, all transaction conducted using it is stored on a public decentralized ledger. Unlike bitcoin which makes use of the Proof-of-Work (PoW) governing consensus, the Wolfcoin works differently. The coin has a two-tier network where second tier is powered by masternodes (Full Nodes). The Masternodes enables Private and Instant Send, and decentralized governance. The automated nature of the WolfpackBOT makes it possible to execute trades at lightning speed using proprietary trading algorithms, the “Werewolf” Trading Analysis configurations, or user-customized settings based on personal trading style. The WolfpackBOT software also allows for simultaneous trading access to all compatible cryptocurrency exchanges that are available to the bot. Also, a lot of trading pairs are allowed with the WerewolfBOT subscription package. Currently, the platform offers three different subscription packages with different options of trading. Since the bot is a software that functions with little or no human interference, there is a need it to be installed on a computer system. The WolfpackBOT Trading Software can also be installed on a Virtual Private Server (VPS). With this, users don’t need to have their systems on at all time or be worried about power failure or poor internet connection. The WolfpackBOT Trading Software also comes pre-installed on project’s Hardware Console that connects directly to the internet. The WolfBOX hardware console will conveniently allow for the full utilization of a bot subscription without a need for a VPS or dedicated computer. This is the first of its kind in the crypto industry. The console comes with a removable Hardware Wallet and several other features which include high-speed CPU, solid-state hard drive, built-in RFID Reader, and integrated Bitpay and Coinbase wallets. Another major benefit of using the trading software is that the platform is connected to the following crypto exchanges BitMEX, Binance, Bittrex, KuCoin, and Poloniex. Through this connection, users are presented with access to all the exchange’s trading pairs available for trading. More Exchanges are expected to will be added soon enough. 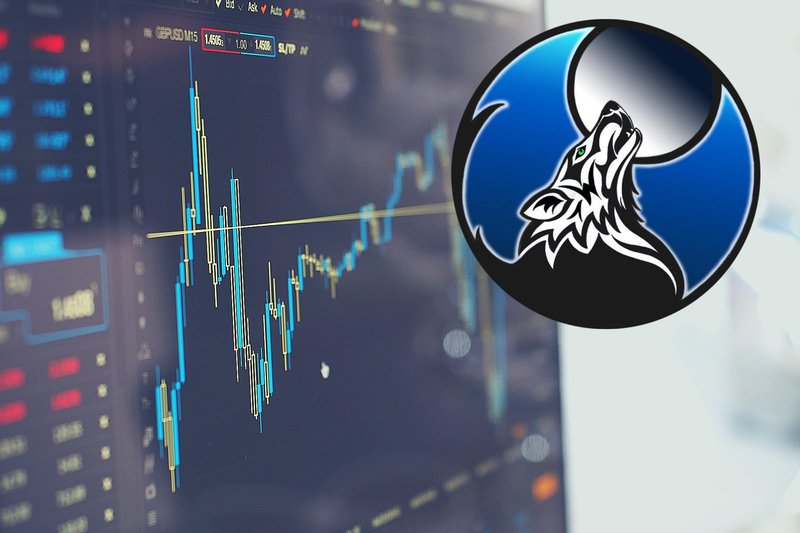 While using the WolfpackBOT platform, users get to enjoy a huge selection of Multiple Technical Analysis indicators, oscillators, configurations and settings available in the world of Automated Cryptocurrency Trading Bots. The following technical indicators can be found on the platform: Bollinger Bands, Double EMA, Elliot Wave, EMA, EMA Cross, Fibonacci Sequence, KAMA, MA Cross, MACD, RSI, SMA, Stochastic, Stochastic RSI, Triple EMA, and many more. Based on different reports, it is clear that the crypto market is attracting more users on a regular basis. With the new Bitcoin ETF likely to get approved soon, more institutional money is expected to get pumped into the market. Once the market reaches its full potential, the subscription price of the WolfpackBOT is expected to go up along with the value of the Wolfcoin. This makes now the perfect time for any wise crypto trader to try out the WolfpackBOT.